Sri Mata Amritanandamayi Devi’s messages, her teachings and her life are carried in this newsletter. For the world, She embodies the message of a new Consciousness. 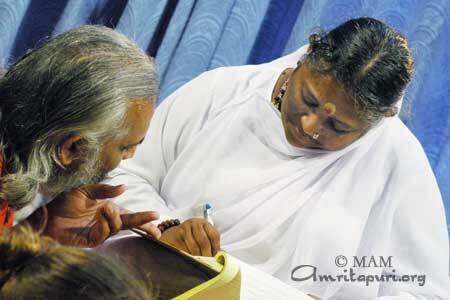 Amritavani brings you closer to the warmth of Amma’s Love and Compassion! Please enter your email id in the form on your right side colum and hit enter. Make sure the email-id is correct. Check your inbox/spam folder and click on the link to confirm your subscription. If the form on the right side is not working for you, subscribe by sending an email.Click here.